Indian Army Recruitment Rally, Lansdowne, Will Be Held For Eligible Candidates Of The District Of Uttarkashi, Chamoli, Tehri, Pauri Garhwal, Rudraprayag, Haridwar & Dehradun from 03 Jun To 17 Jun 2019 At VC GBS Camp Kotdwara. Online Registration Is Mandatory And Will Be Open From 04 April To 18 May 2019. So Interested People Can Apply For This Job Of Indian Army By Registering Online. 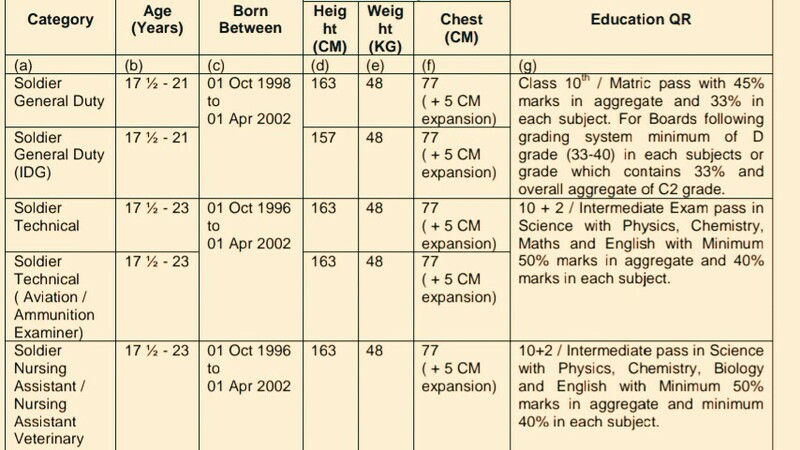 Lansdowne Army Recruitment Rally 2019 (Various Categories Vacancies) →Kindly Do Check Out The Images Below For Name Of The Categories, Age Limit, Educational Qualifications, Physical Requirements (Chest, Weight & Height), And Other Important Informations. B. 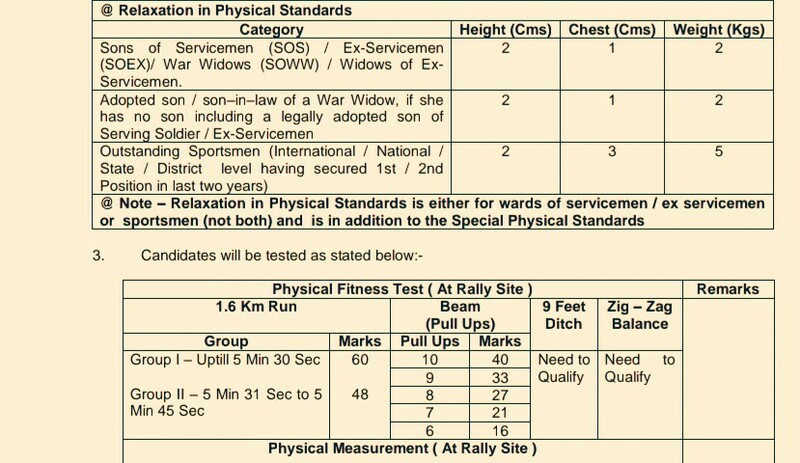 Eligible Criteria For Lansdowne Army Recruitment Rally 2019. Mode Of Examination/Selection Process →Physical Measurement Test/Physical Efficiency Test/Medical Tests/Written Exam. Now Apply For This Job Of Indian Army Recruitment 2019.